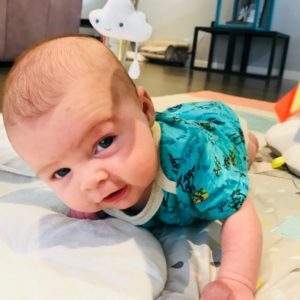 Is it bad that I already have to look back on my Instagram to remember what my child’s second month of life looked like (which btw was only two months ago)?! Time for a coffee. * Mom hack, if you’re worried about you and your baby being excessively caffeinated but love your cup of joe, try a couple of half-caff cups throughout the day vs. an espresso or a fully caffeinated pour. This way you get your pick-me-up and baby can still (ideally) get his/her naps in. Win win. Month two. This is the month where we really started getting into our rhythm – “we” as in everyone in our new little household (dog included). Six week shots meant we could finally break out of germ-free house arrest and adventure into the great outdoors (aka Trader Joes and Target). 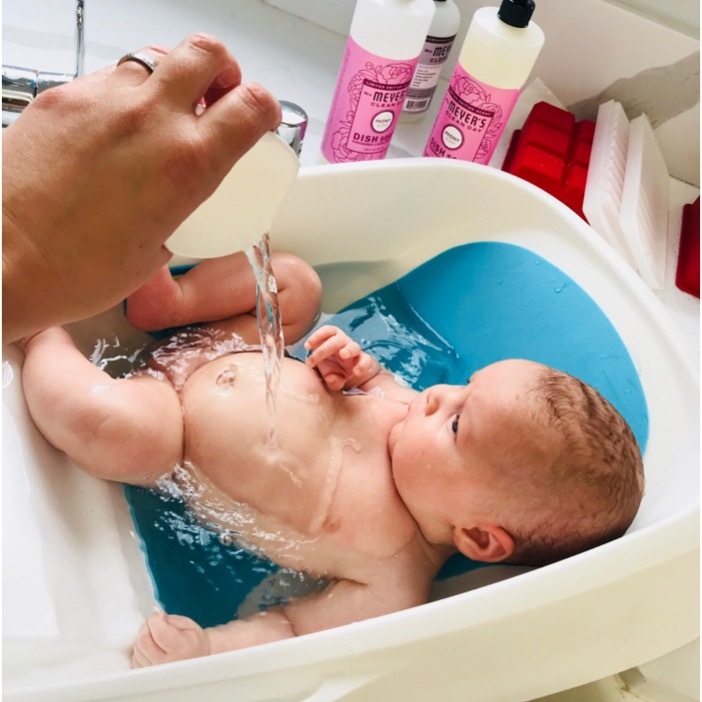 There were fewer visitors, less “breakable baby” paranoia, a much better latch, which also meant our first blowout (and no, not Dry Bar, we’re talking diapers here), and in turn lots of bubble (or lack of bubble, as our pediatrician warned us of over-sudsing) baths. This is also when I started my “pump journey”, hoping to be able to hand dad the night feed (a fabulous 30mins – hour now free for a shower, face wash and/or deep breath), and store up any extra milk for future travel, a moms-night-out, or supplemental supply when the time came that I decided to break off from breast-milk-feeding. * Most insurance companies will cover a breast pump, in full, and if you want a fancier one than what is offered for free, you can usually pay the difference. I went through a company called “Bump Benefits” and the whole process (honestly) couldn’t have been easier. My choices? 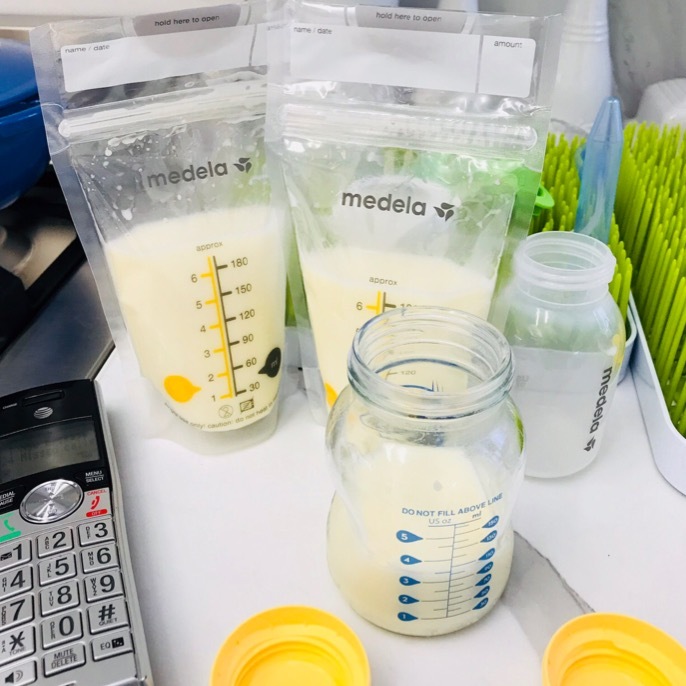 The Medela “Pump in Style” and Medela “Freestyle” – yes I ended up getting two, and will explain in the next month how and why I decided to become an “exclusive pumper”. Regardless, make sure to look through all of the options, as each person will have a different priority and preference. We (I) looked on Pinterest for storage inspo, and saw mamas storing milk in old La Croix boxes (just cut open the top) so that’s what we did. A. It’s free (if you’re already drinking soda or La Croix) B. It perfectly positions the freezer bags stacked and upright and C. Big bonus, you now have an excuse to buy weekly La Croix cans. As for more “mommy changes” this is the month when your body starts feeling semi (and yes, still only semi, sorry) back to normal. Your organs are re-finding their proper places, your stomach begins to deflate, most mamas can officially start working out again (which is easier said than done! 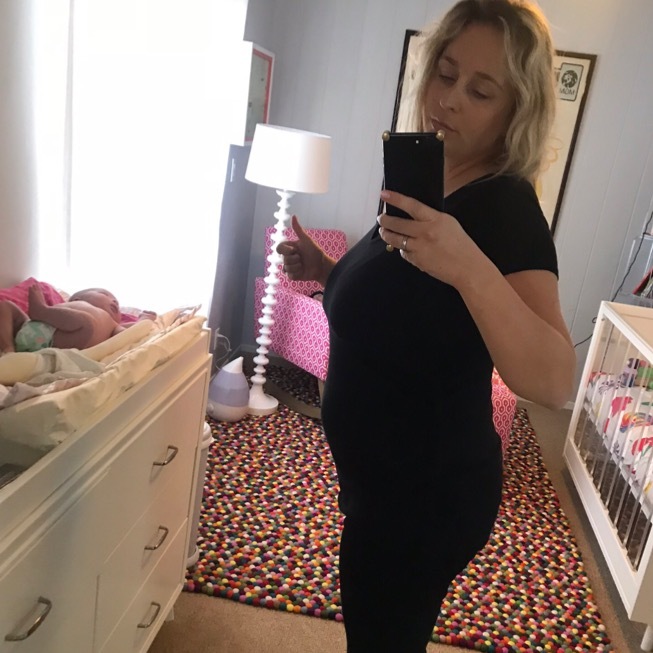 ), and lucky for your partners, you’ve likely been given the green light to re-attempt practicing baby making (just without (hopefully) actually making another baby!). On that note, it’s time to check in on that, now four-month old, baby that I’ve already made. Nap time’s over! See you next week with month three – yippee! So cool to read this A, it feels like I’m right there going along with with all.